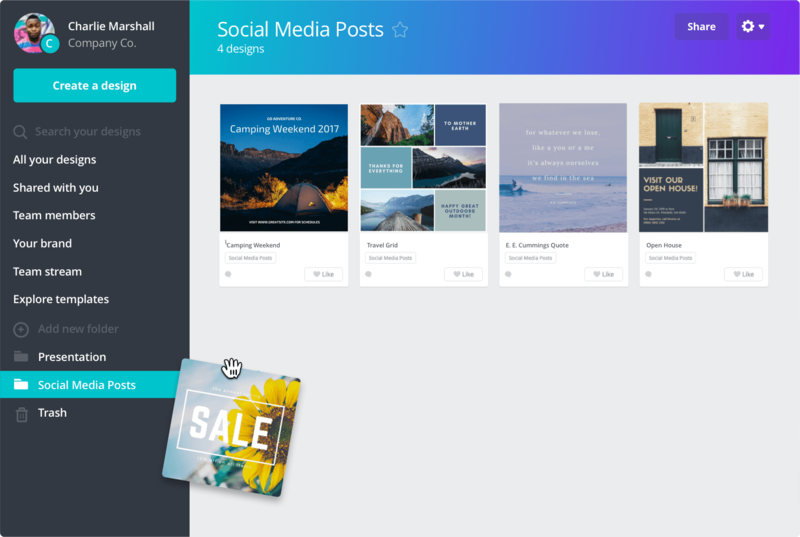 Easily create design folders and organize your content. Declutter your home page. Use design folders to organize your content and archive past designs. Create easy access to your brand materials. 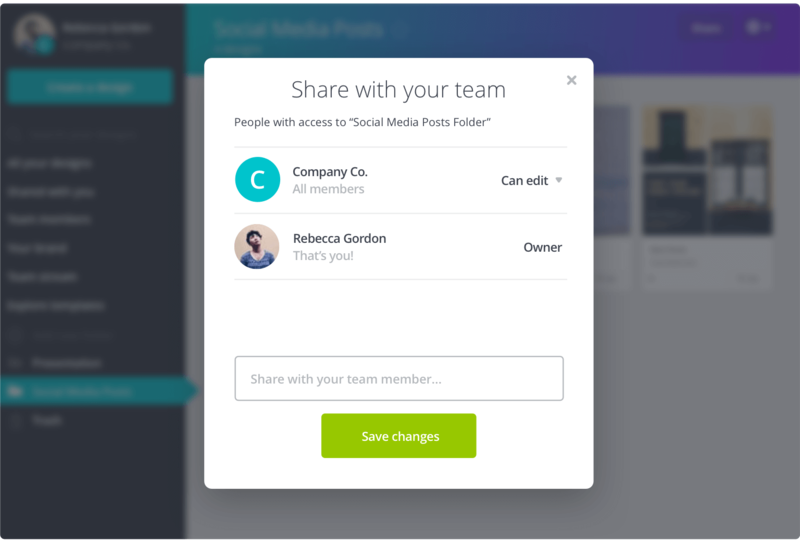 Share brand content to your team by creating as many design folders you need.